Sometimes, Mac users need to run Windows software. Maybe there’s a program you need for work that doesn’t offer a Mac version, or maybe you occasionally need to test websites in Internet Explorer. Whatever you need Windows for, Parallels is the best tool for the job. Why Use Parallels Instead of Boot Camp or VirtualBox? Sure, you could set up your Mac to run Windows with Boot Camp, but that means restarting your computer every time you need to use Windows. Parallels runs Windows within macOS, using what’s called a Virtual Machine. 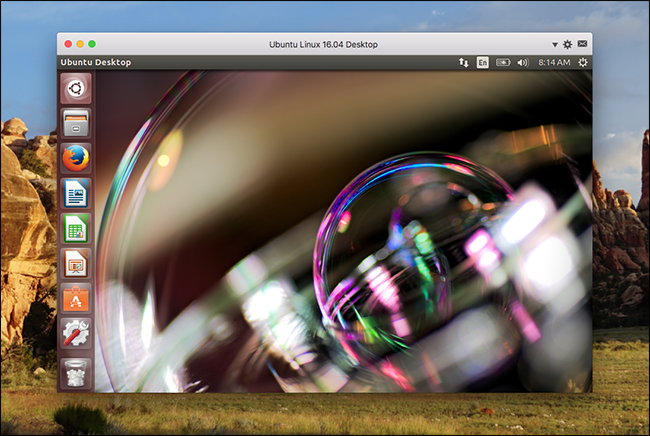 This allows you to quickly switch between the Mac and Windows desktops. You can even combine the two desktops, if you want, and run Windows software right on your Mac desktop from your Mac’s dock. 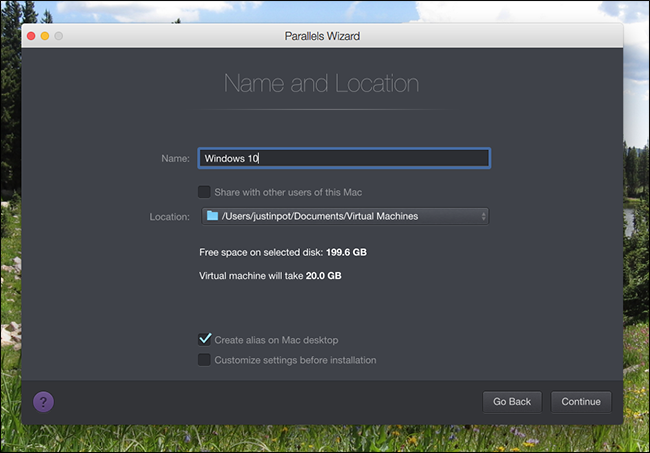 Virtual machines are complicated, but Parallels makes it reasonably simple to set one up and use it. There are other virtual machine options available to Mac users, including the open source VirtualBox, but Parallels is different in that it’s designed exclusively with Mac users in mind. Parallels costs more (since VirtualBox is free and Parallels is not), but there are hundreds of little design touches that help make running Windows within macOS as painless as possible, and that make setting everything up quick and easy. it’s well worth the cost. How Much Does Parallels Cost? 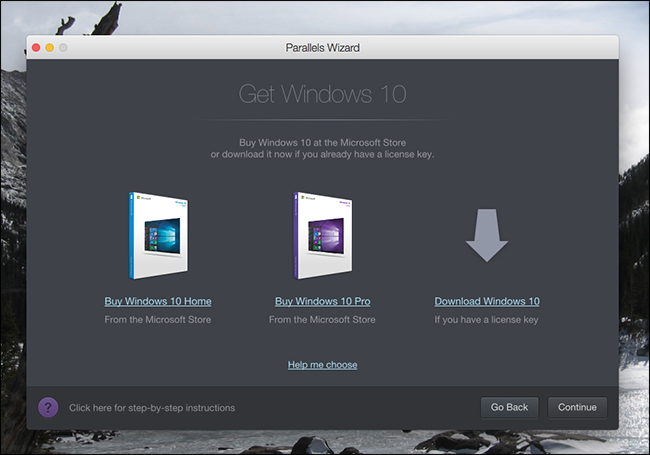 Purchasing the latest home version of Parallels Desktop costs $80 as of this writing. This lets you run Parallels on a single Mac. Upgrading from one version of Parallels to another generally costs $50, and will probably be necessary every couple of years if you keep installing the latest versions of macOS. A $70 annual subscription gives you access to all updates “for free,” according to the Parallels website. If you just want to try out Parallels and see if it works for you, you can: there’s a 14 day trial of the software, which you can access without providing a credit card number. 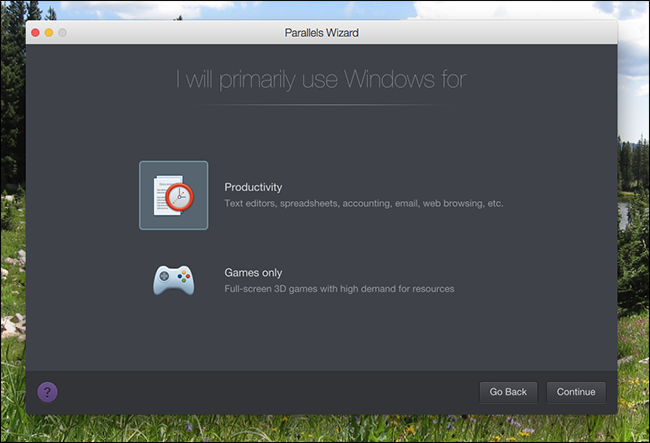 There’s also Parallels Desktop Lite, which is free on the Mac App Store and lets you create both Linux and macOS virtual machines. 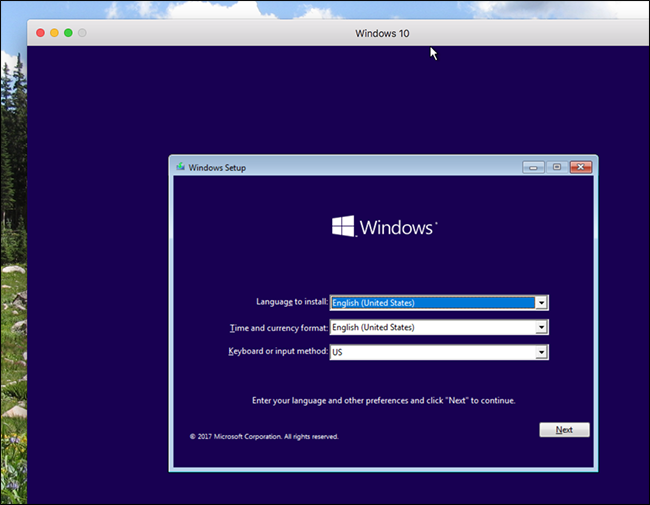 Parallels Desktop Lite can only run Windows virtual machines if you pay for a subscription, however. 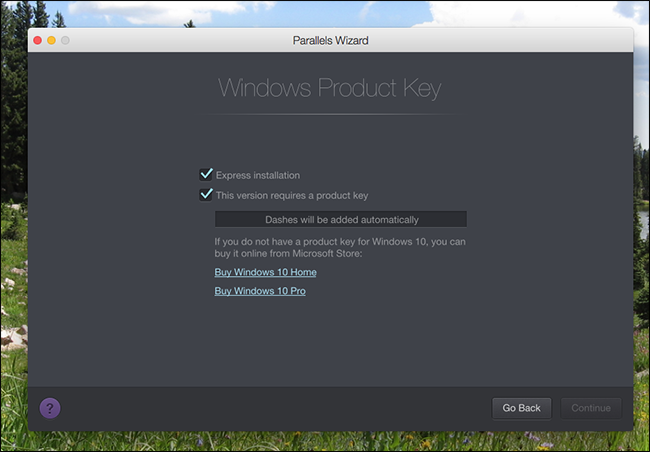 One more note: purchasing Parallels does not give you a Windows license, or a Windows product key. If you have a Windows installation CD or USB key handy with a valid license you can use that, otherwise you will need to purchase Windows 10 from Microsoft to create a Windows 10 virtual machine. We’ll point out that you don’t technically need a product key to install and use Windows 10—Microsoft basically gave up enforcing their license requirements with Windows 10, and you can download Windows 10 right from Microsoft at no cost (you’ll probably want it in the form of an ISO file). Legally speaking, however, you still need a product key to use Windows, even in a virtual machine. Got everything you need? Good. 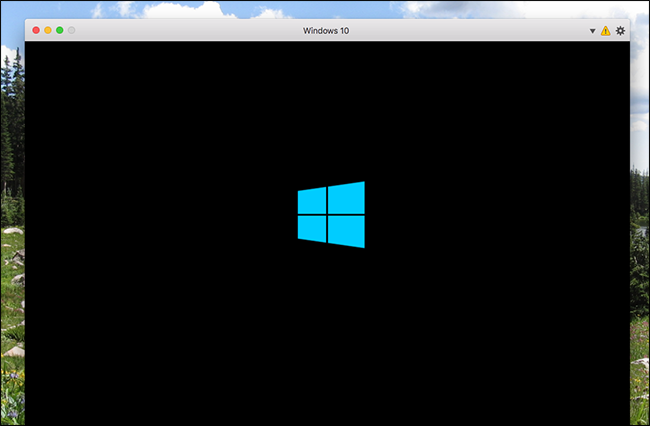 The new virtual machine wizard, which launches the first time you open Parallels, makes the process simple. Assuming you already have a Windows CD or ISO, click the “Install Windows or another OS from a DVD or image file” button. You’ll be asked whether you want an Express installation, which automates the installation process so that you don’t need to enter the product key or click “Next” during the installation process. Choose this option if you want, otherwise plan on babysitting the installation a little bit. Next you’ll be asked what you plan on using this virtual machine for: work-related software or gaming. If you select Games only, the virtual machine will be set to use a lot more resources, so only click that if you intend to do serious gaming in the virtual machine (which is probably not a great idea). Also make sure your Mac even has enough resources to dedicate—if you spread your computer’s resources too thin, your virtual machine will be very slow. You can change these settings later, but I recommend going with “Productivity” in almost all cases. Finally, you’ll be asked for a few details: what the machine should be named, where it should be located, and whether you want a shortcut to the machine on your desktop. The Windows installer will run. If you selected the Express installation, you won’t need to do anything: just watch as Windows installs. If not, you’ll have to click “Next” a bunch of times and enter your product key, as is normal for installing Windows. The installation process can take a while, if mechanical hard drives or a DVD is involved. If everything is running off an SSD, however, you’ll be up and running in a few minutes. Eventually you’ll see the Windows desktop! We’re almost done. That’s all well and good, and you can start using Windows now—but if you really want to get the best of what Parallels has to offer, you have a few more steps ahead of you. 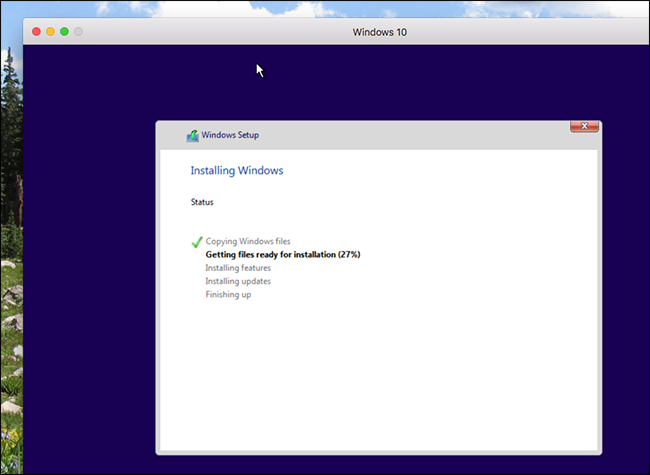 The installer will take a few minutes, and eventually will require you to restart Windows. Do that and you’ll be up and running: your virtual machine will be integrated with macOS. Moving your mouse to your Windows virtual machine is seamless. Anything you copy to your Windows clipboard can be pasted in Mac apps, and vice-versa. The Documents, Downloads, and Desktop folders in Windows are symbolically linked to the same folders in macOS. Change a file in one place and it changes in the other. If you have Dropbox or iCloud running in macOS, those folders are available in Windows Explorer. If you have OneDrive set up in Windows, that is available to you in macOS. Individual Windows programs are shown in your Mac’s dock. We could go on: the extent of the integrations is staggering. If any of them bother you for any reason, you can change them by shutting the virtual machine down, then clicking the Settings button for it. Head to the “Sharing” tab to disable the folder sharing. 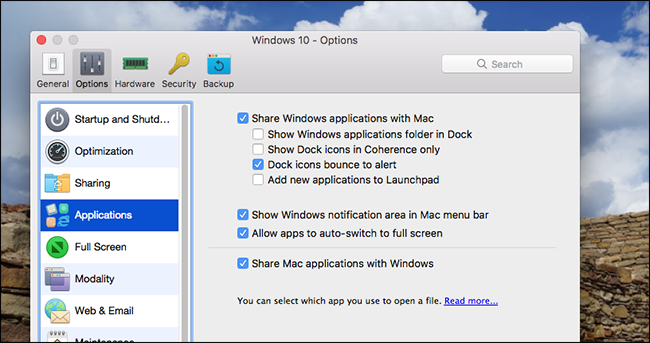 And head to the “Applications” tab to stop Windows applications from showing up in your Mac dock. There are all kinds of other settings we could explore, but this article is only a starting point. Dive in and experiment. 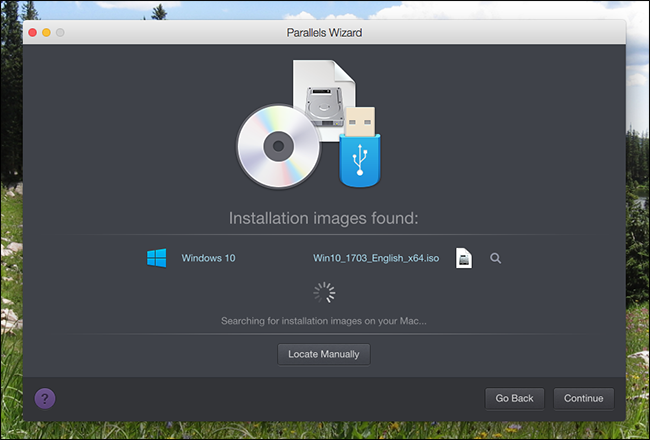 Parallels isn’t just for running Windows, either: you can use it to set up Linux, ChromeOS, and even macOS virtual machines. 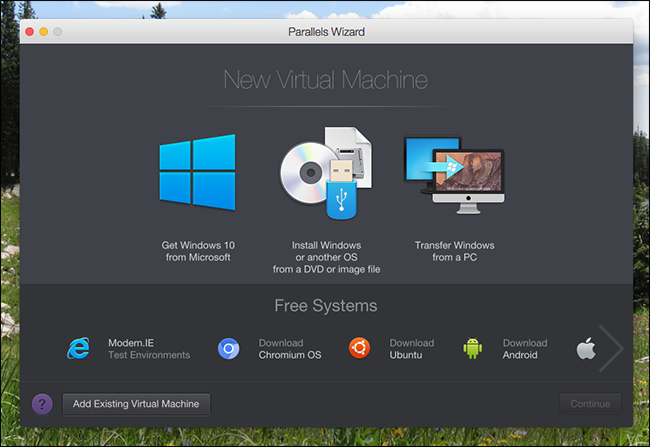 We outlined how to create Linux and macOS Virtual machines in Parallels Desktop Lite, and the process is identical for the full version of Parallels Desktop, so check out that article if you’re interested. If you intend to create a lot of virtual machines, you should also read about freeing up disk space in Parallels, because these machines will eat up a lot of hard drive space.